Complete the form below to create your custom patch order. A free pre-production digital proof will be emailed prior to production for all custom patch orders. For help ordering patches call 800-750-9301. Patch size: choose size 2" 2.5" 3" 3.5" 4" 4.5" 5" 5.5" 6" 6.5" 7" 7.5" 8" 8.5" 9" 9.5" 10" 10.5" 11" 11.5" 12" need help determining? select embroidery coverage: choose coverage Less than 100% embroidery 100% embroidery what is 100% embroidery? what is less than 100% embroidery? type of backing: choose backing Plain Backing Iron-on (heat seal) backing Velcro backing Plastic Backing need help determining? The maximum width and maximum height of your patch is needed in order to calculate a price. Use the widest and tallest parts of your patch to determine these measurements. The examples below illustrate how to measure the maximum width and maximum height for various patch shapes. Here’s an example: let’s use a patch that has a height of 2 inches and a width of 3 inches. Step 1. Add the width and height together. In our example, 2 + 3 = 5. Step 2. Divide the sum by two. So, 5 divided by 2 = 2.5. Step 3. The result will be the size of your patch. In our example, our patch size is 2.5 inches. You can find your patch size in the left hand column of the price tables. We offer a variety of backings for your patches. The type of backing you choose is a personal preference and depends on how you will apply the patches. 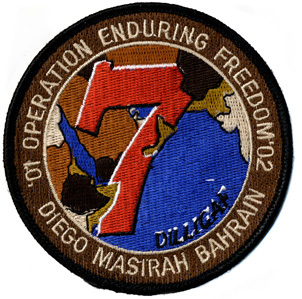 This option is used when patches will be sewn directly on to a material (i.e. a jacket, bag, uniform, hat). This option is permanent and is used when the patches will be ironed on to a material. Before ironing ensure your material can be pressed with a hot iron. This is often used on flight suits and other military-type uniforms. 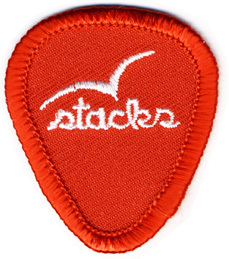 A plastic backing is typically used on larger patches (over 6 inches) and helps to prevent buckling. With this type of backing the patch will need to be sewn on. Less than 100% embroidery If the entire patch is not embroidered and there is background material showing, choose this option. In this example, the background is a red twill material. The only embroidery on the patch is the white lettering and bird shape. 100% embroidery If the entire patch is embroidered, as in the example below, and there is no background twill material showing, choose the 100% embroidery option.